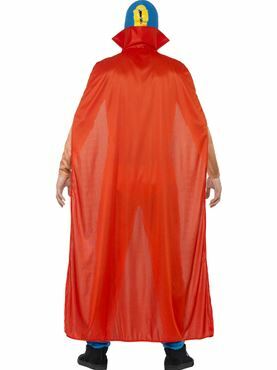 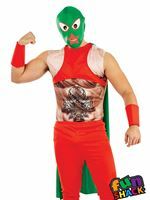 Make an Unforgettable Entrance in our Adult Mexican Wrestler Costume! 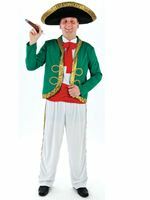 Become the Ultimate Champion at your next Fancy Dress Party with this Fantastic Novelty Outfit! 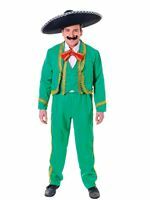 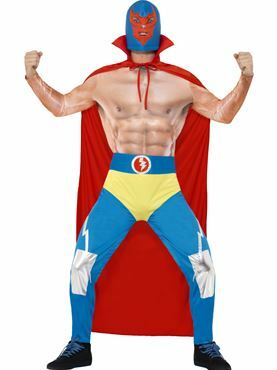 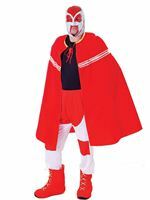 The Mexican Wrestler Costume comes complete with the Blue Tight Fitting Leggings with attached Yellow Underpants and Lightening Bolts along with the Red Cap with an attached Mini Collar. 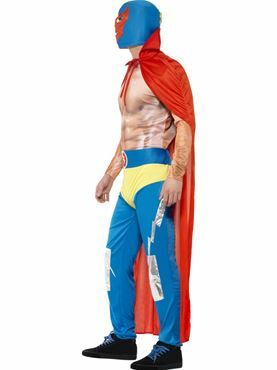 Completing the Wrestler Outfit is the Sinister Blue and Red Full Over the Head Mask. Please note that the Top is not included however can be purchased separately - See Product Code 43513. 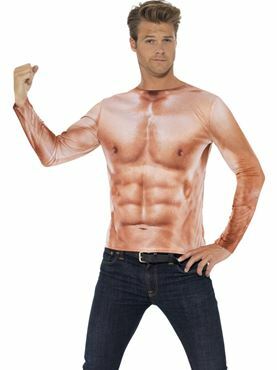 Medium 38'' - 40'' 30" - 32'' 34"
Large 42'' - 44'' 34" - 36'' 34"